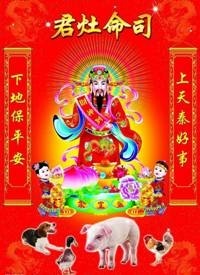 I’ve been doing some background research for my second children’s novel which is set at the time of Chinese New Year, so I’m dedicating this post to The Kitchen God, also known as the Stove God, Zao Jun, Zao Shen, or Zhang Lang. The Kitchen God watches over families and records their behaviour, good or otherwise, so beware! 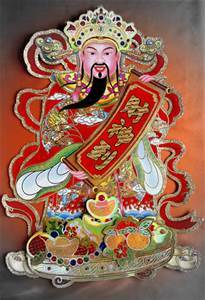 Each year during Chinese New Year the Kitchen God reports back to the Jade Emperor of Heaven, Yu Huang, about how well the family members have conducted themselves throughout the year. A paper picture of the Kitchen God is hung in a prominent location in the kitchen. The family have a thank you dinner in which a bowl of sticky rice is placed in front of the Kitchen God. It is believed that if the Kitchen God’s mouth is full of sticky glutinous rice, he will not be able to speak out about the family’s wrongdoings. Others give glutinous rice balls served in sugar soup and brown sugar bars as a bribe for the Kitchen God to say favorable things about the family. After the thank you dinner, the picture of the Kitchen God is burned and thereby sent back to heaven. 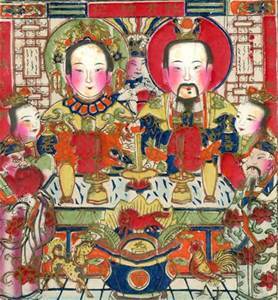 A new picture of the Kitchen God is hung in the kitchen after the start of the Chinese New Year festivities. The story of the Kitchen God is an interesting one, to begin with he’s just an ordinary mortal, Zhang Lang, a wayward fellow who has an affair with a younger more attractive woman. The heavens aren’t impressed by his behaviour so as a punishment he’s struck blind, and his young lover leaves him. In a nutshell his forgiving wife takes him back, as he seems guilty for his wrong-doings, and he is so remorseful for his adultery, that he throws himself onto the fire. All very dramatic! Well, that’s one of the stories anyway, there are several spins on it, but this one sounds the one I’d be inclined towards accepting. 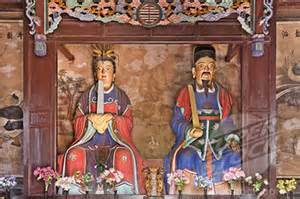 The picture below is a statue of the Kitchen God and his wife in a temple in Chenghu, China. Statues of the Kitchen God in a temple, Chenghu. He’s represented here in a clock. 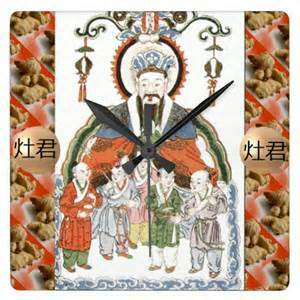 The hands of time, ticking away from one Chinese New Year to another, so watch out, be good! Don’t be greedy! Here he is with some of the Chinese New Year signs. I’m a bit confused by the duck. I didn’t think a duck is one of the Chinese signs, (maybe he just waddled in,) though the rooster, pig and dog are. Anybody can clarify the duck’s role for me? Is he just visiting? He’s looking very splendid here watching over some food. I think the Kitchen God has found out that someone’s been badly behaved! Look at those eyes! No getting past them! Before I disappear into the kitchen to do my impersonation of a domestic goddess let me share with you a book that I discovered today while typing up this blog post. 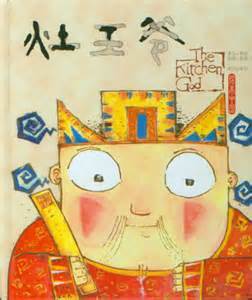 Guess what, the book has The Kitchen God in the title, and he’s joined by his significant other! 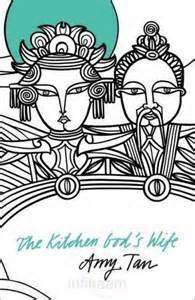 The Kitchen God’s Wife, by Amy Tan. Winnie and Helen have kept each other’s worst secrets for more than fifty years. Now, because she believes she is dying, Helen wants to expose everything. And Winnie angrily determines that she must be the one to tell her daughter, Pearl, about the past—including the terible truth even Helen does not know. And so begins Winnie’s story of her life on a small island outside Shanghai in the 1920s, and other places in China during World War II, and traces the happy and desperate events tha led to Winnie’s coming to America in 1949. Happy Friday. Be good! Eat lots of yummy food! Enjoy your weekend. Oh, if you’ve read The Kitchen God’s Wife, I’d love to hear what you thought of it. 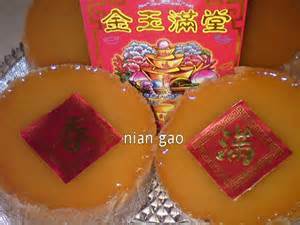 This entry was posted in Chinese, Friday, Inspiration and tagged Amy Tan, Chinese New Year, Friday, Inspiration, Research, The Kitchen God, The Kitchen God's Wife. Bookmark the permalink. 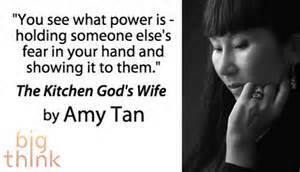 I have read Amy Tan’s other novels but not The Kitchen God’s Wife. Yet. She is a good writer. Yes, I would like to read one of her books soon, I have The Bonesetter’s Daughter waiting on my shelf! 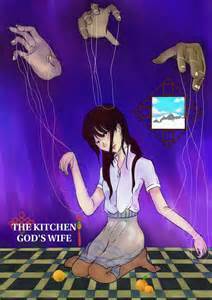 I liked The Kitchen God’s Wife. Yes, I’m an Amy Tan fan!